But neither Scott, or Nilan before him, would have been the first pugilist to play in an NHL All-Star Game. John Ferguson played in the 1965 and 1967 NHL All-Star Games. 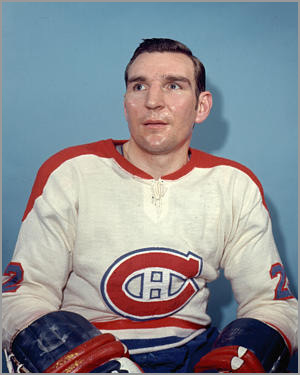 John Ferguson, whose main job was to protect Jean Beliveau, is generally regarded as the NHL’s first true enforcer. Ferguson played in the 1965 and 1967 All-Star Games, back when the Stanley Cup-winning teams — here, the Montreal Canadiens — would play against a squad comprised of the best players from the other teams. While Ferguson’s was only in those games because he was on the Cup-winning team, he nonetheless played in them, and was not scratched. Fast forward 21 years. 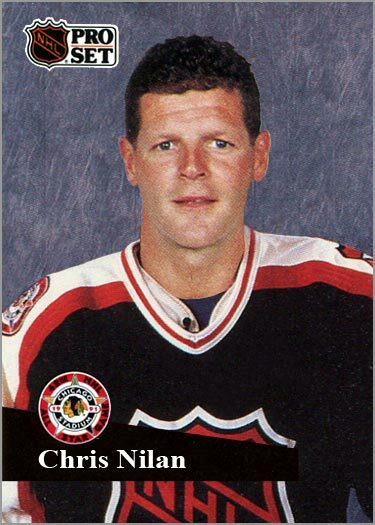 Famed enforcer Bob Probert of the Detroit Red Wings skated in the 1988 NHL All-Star Game as a non-starting reserve player. Back then, fans would vote the starters, while the coach of each conference — usually, the two coaches who appeared in the previous season’s Stanley Cup Finals — would select the reserves. Edmonton Oilers coach Glen Sather picked Probert, who ended up with 24 fights and a league-leading 398 penalty minutes that season. Although he was nearly a point-per-game player in 1987-88, Probert’s role on the Red Wings was clearly that of a tough guy. 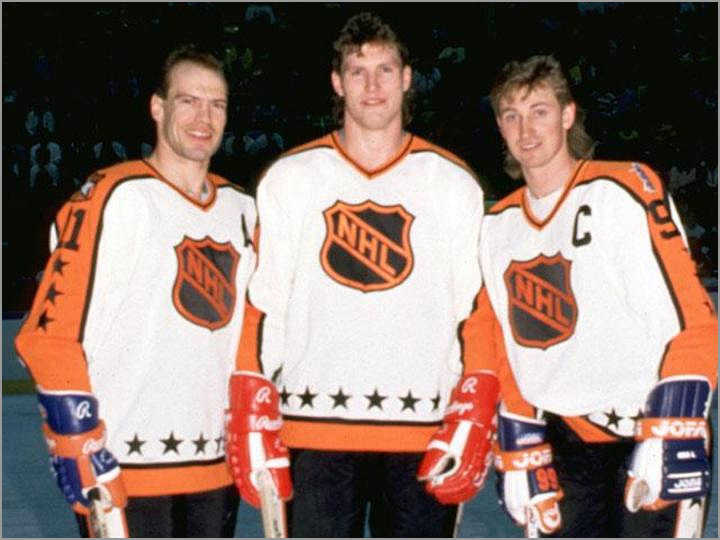 Bob Probert (center), shown here with Mark Messier (left) and Wayne Gretzky (right) at the 1988 NHL All-Star Game. The next year, Chicago Blackhawks defenseman Dave Manson was selected by Sather — again, the Campbell Conference coach — as a reserve player. While he simmered down later in his career, Manson got into many fights during his first few seasons, going toe-to-toe with anyone. 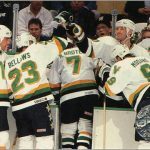 He had 15 fighting majors in 1988-89 and was third in the league with 352 PIMs. Still, he had a career year and was many times Chicago’s number two defenseman, often paired with Doug Wilson. “I’m not prepared to take any grief from anybody,” Milbury said. “I tried to make all the obvious selections. The remaining four or five spots, I considered qualities such as leadership, courage and commitment. 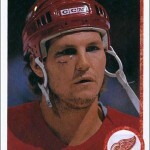 “Mad Mike” recognized that fighting was part of the game, and Nilan was still one of the game’s best fighters. 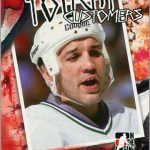 That drew ire from the NHL, who wanted Guy Lafleur to play in the All-Star Game, as “The Flower” was set to retire at the end of the season. 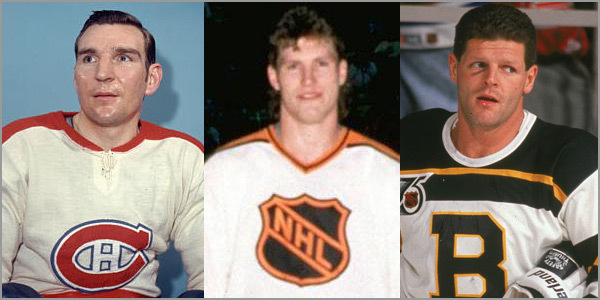 The NHL then established the “President’s Selection,” which allowed the league to appoint a veteran player on each team. The board of governors also decided that, starting next season, the players who weren’t voted in by fans would be picked by a committee, and not the All-Star Game coaches. But the league didn’t seek to remove Nilan from the game. His picture was even in the game program (which I swear I have but, sadly, can’t find now). Ultimately, it was Nilan who removed himself. Soon after learning that he was going to play in the All-Star Game, the Bruins tough guy played a pickup basketball game against teammate Cam Neely and broke his ankle. He was replaced in the 1991 All-Star Game by teammate Dave Christian. 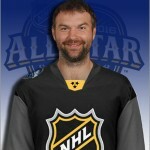 NOTE: This article was updated at 11:15 a.m. CST to reflect the NHL’s announcement to keep John Scott as an All-Star Team captain. Great reads up here on the enforcer subjet. Holler!! Like Milbury had so well said; they are bringing qualities such as leadership, courage and commitment to the, or else, less motivating All-Star Game… Though now in a 3 on 3 concept, having only 11 players per team – winning 90909$ can be motivating. Welcome to the site and thank you for the comment. And I agree — winning some $ was a great idea. I felt like the players tried harder this year.